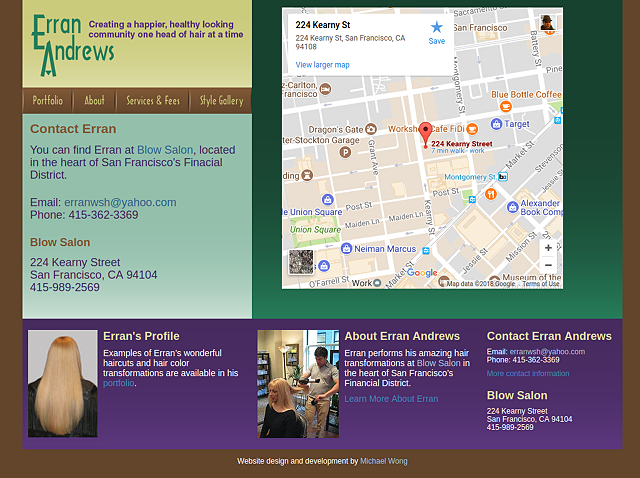 This is a portfolio site designed in 2009 to promote the hair design work of Erran Andrews, a San Francisco-based hairstylist. Click on each screenshot to enlarge them. This is a desktop only design because mobile devices like the iPhone had not become a factor to consider yet. 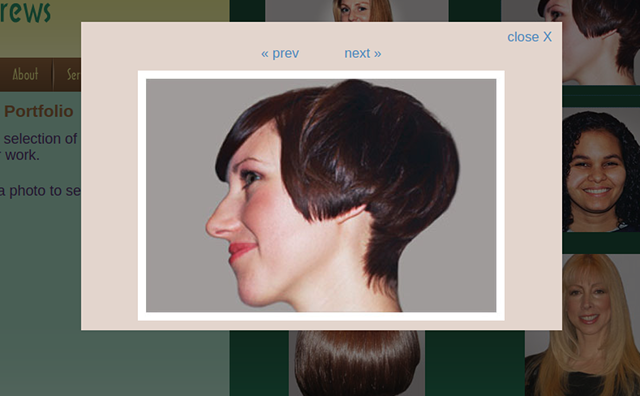 This design emphasizes the images that appear in the wide column on the right while copy is featured in the narrow column on the left. 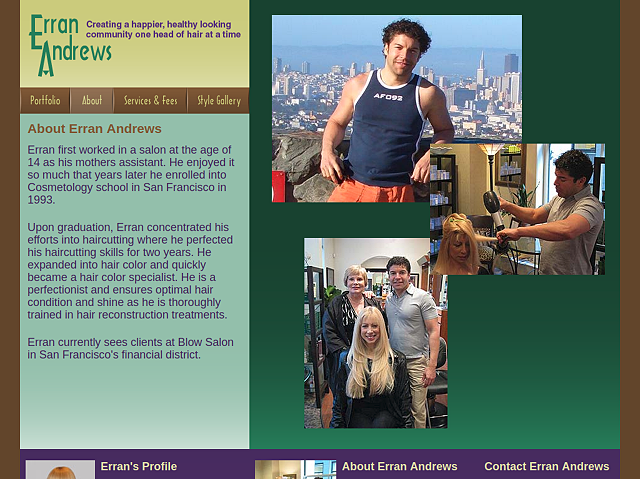 The site features six pages using the same layout. 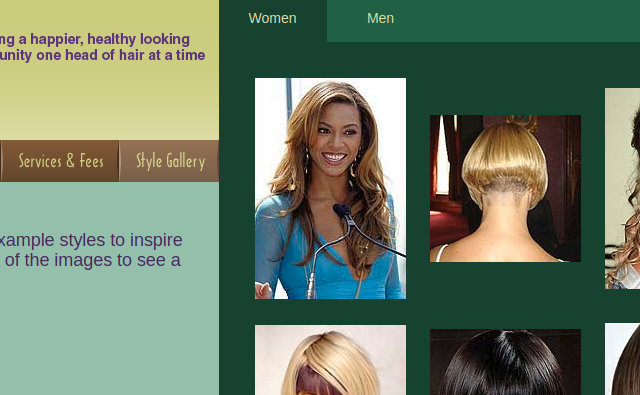 The style gallery features a tab interface that allows the user to switch between styles for women and men. 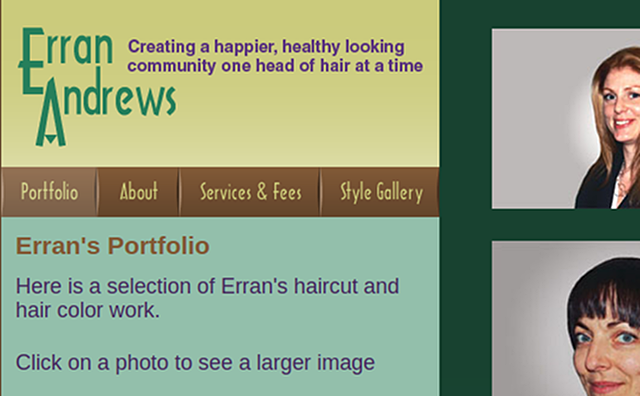 The portfolio featured my original implementation of a gallery lightbox. 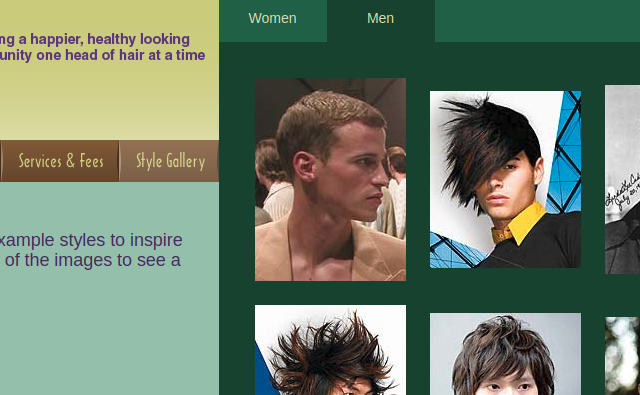 The home page featured a Flash-based slideshow because Flash was everywhere and well-suited for this feature. 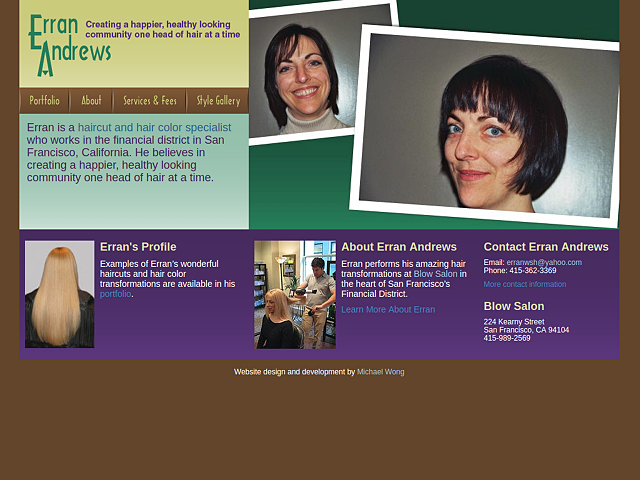 The site launched in 2009 but disappeared after the site hosting and domain registration expired the next year.